Yes, it's hot here, too, Abe, but not in Australia. Temperatures around Perth have plummeted to -4°C, and snow is falling! Normal average August temperatures are around 16°C. 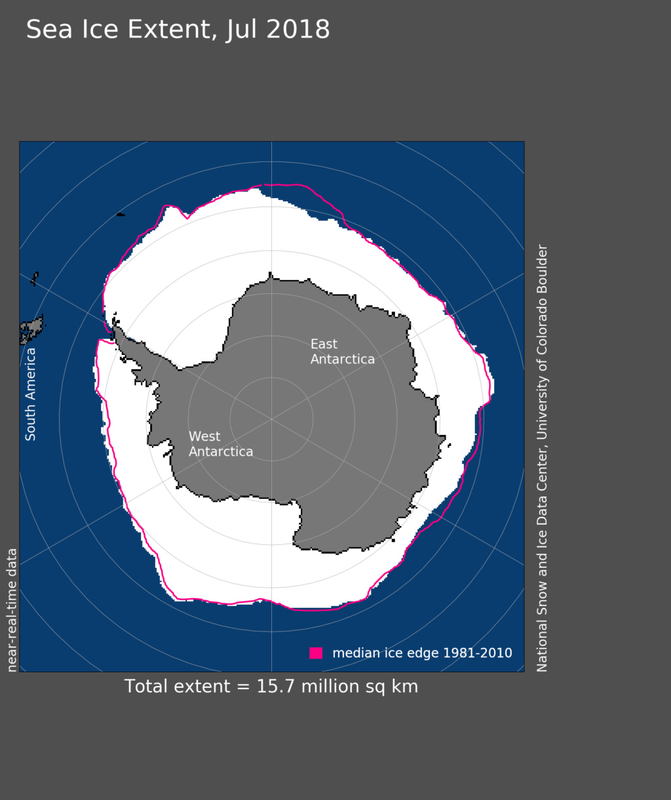 And the Artic is melting. According to America’s fake President, climate change is a hoax. Record high temperatures in Europe is a fact. Crops are suffering with reports of devastating harvest yields. Some governments are already pledging assistance to farmers while the consumer will eventually be hit with the bill in higher prices due to shortages. In some cases, it is legitimate while with some it will be contrived as they take advantage of the shortfall by jacking up prices. My observation is limited to my own backyard and the surrounding area. Fruit is falling from the trees not yet ripe. The harvest of grapes is beginning at an earlier than usual time of year. As I walked through the vineyards I noticed that the grapes look more like raisins than grapes. When the grapes are pressed there will be much less juice thus affecting the yield. I expect that the price of wine will be much higher and that stocks remaining from previous years will be marketed at much higher prices. I intend to stock up starting today buying and storing as much wine as I can afford. Supply and demand will be a reality. Even worse it the effect on the lives of humans and animals. People are dying from the heat. The lack of water is affecting both plants, animals and humans. Fires are raging. A simple spark can cause a fire. Hikers and campers are being warned not to set fires in the forest areas. It only takes one idiot to ignore safety precautions that can cause catastrophic results. The warning to be safe is not limited to air travel or actions by terrorists. Looking out for each other is a duty we need to take seriously. Checking in on Seniors on a daily basis is an action taking place in our area. Drinking plenty of water is a necessity. The rivers and streams are drying up. Boats on the Rhine river, a major artery for transporting goods, has affected the loads the boats can carry. Much of the transport is being sent by truck causing traffic jams. As cars wait in line with the engines running is affecting pollution. Frustration by drivers being stuck in traffic jams are causing even more accidents as they take abnormal risks to move ahead thus causing accidents with even more delays. Survival during these times is a real concern. Taking care of yourself and those around you is important. Please do it. Conversation with my daughter Christine today. She: Hi Dad, just checking to see how you are. She: Are you drinking plently of water? Me. I’m drinking plenty of fluids, if that’s what you mean. She: How much are you drinking? You know how important it is to drink. Me. I had several beers last evening and wine before bed-time. She: I’m talking about water. With the medication you’re taking, water is important to flush out the system so that it doesn’t affect your kidneys. So tell me how much water you’re drinking. She: wish I could see your face. I don’t believe that you’re drinking enough water. Me. Why would you need to see my face? She: Because I detect a smirk on it. Me. Don’t you trust me? She: I know you Dad. You are not taking me seriously. I care about you. Please drink more water. I will call again and check to see how much water you drank. Me: Are you the water politzei? I didn’t hear you asking your mother how much she drank. She: I know that she drinks. Me. I agree with you there when it comes to wine. She. Stop being silly. You know what I mean. Me. Okay, okay. I’ll drink more water. Mixing water with wine is called a “Shorle”. Will that work? Me. And you’re unforgettable. Remember we sang that song together. She. Yes, I remember. You are changing the subject. Me. Thanks again for your phone call and concern. I will try to do better. Yes Alice. I think it is something called love. I hope you're right, however I need to see it to believe it.